June? How can it be? 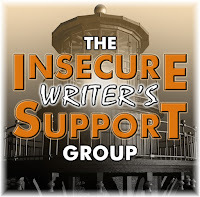 It's the first Wednesday so that means IWSG blog hop time. 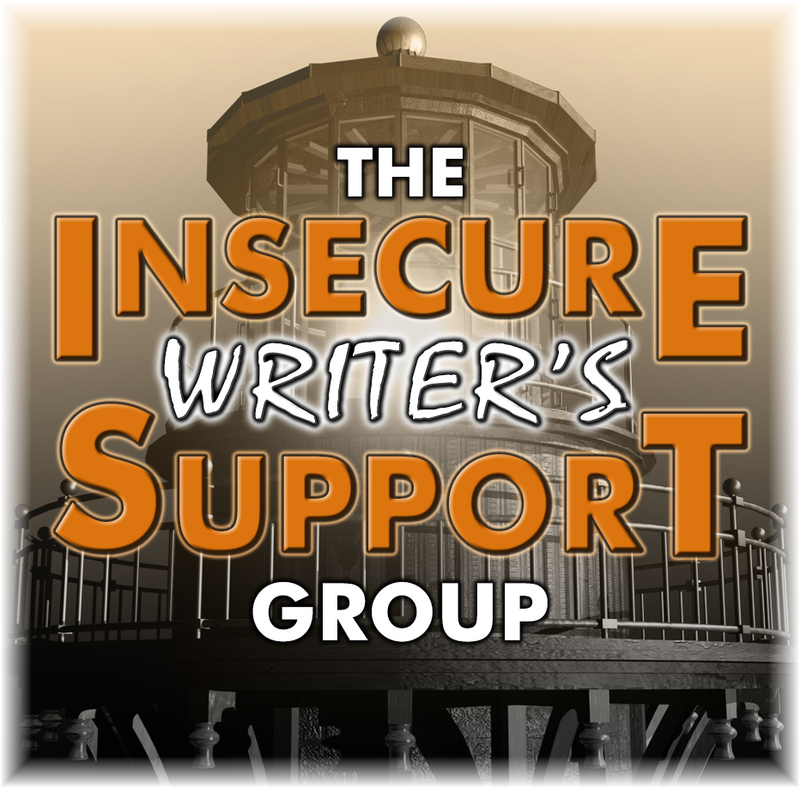 Please visit the IWSG site to hear about the 2018 anthology they're putting together. Also, check out the list of all the participants in this awesome group. This month's optional question: What's harder for you to come up with, book titles or character names? I attended a hilarious but information workshop session at Pennwriters led my Timons Esaias. Timons teaches in a MFA program at Seton Hill University so he has lots of experience reading and grading his students writing samples. The title of his workshop was More Stuff Tim Is Tired Of and he had an hour's worth of cliches, common mistakes, and damnable habits. One of the things he talked about that writers should stop doing is using character names with weird spellings like substituting a 'y' for an 'i' or an 'e' so the name looks exotic. Or making up a name that is impossible to pronounce. He claims fantasy writers are especially guilty of this. Some wisdom from the Old Farmer's Almanac. Astronauts can become up to 2 inches taller in space because there is less gravity. I do like summer heat but another great part of summer is fresh salads. I love fresh fruits and veggies. I'm not growing my own this summer but there are two produce stands close by. Our local snapping turtle resident has been making daily appearances around the homestead. And the new fawns are sneaking out into the back acres. Their barely the size of a tall cat. Adorable. Is coming up with names or titles in your writing difficult for you? Do you agree with Timon's naming irritants? Is gravity on Earth making you shorter? Will hurricane season impact your neck of the woods? Are you having more wildlife sightings recently? Most awesome post Susan, I too love salds in summer also. As a poetry writer I found it easier for a book title than writing and editing the poems. We have a small garden and I've been loving all the fresh berries and herbs. Love the title of that workshop! If a name is too odd or too hard to pronounce, I do find myself stumbling over it as I read and then, of course, I'm pulled out of the story. I've read a lot of fantasy stories with difficult to pronounce names. I've always tried to keep my character names simple. When writing fantasy, I am guilty of making some weird spellings of names and such, but it just doesn't fit as well having normal names. Heh. Titles is one thing a publisher would be nice to have. I always struggle with mine, so there are times I wish someone would come up with the title for me because I'm stumped. I had the same question a bout how it could possibly be June. But somehow it is. You're so lucky to have baby fawns in your yard! I wish I could see pictures! Characters are easier for me than titles but I did fall into the sci fi trap of strange character names for alien species once, a long time ago. I had come up with these strange letter combinations that looked great on paper, then I was asked to do a short reading. I had no idea how they could be pronounced. So go to space to get taller? Check. People who spell it with a different letter sure can annoy indeed. Like an i or an e or a y makes them any more special, real or fictional. I do appreciate unusual names in books and I like coming up with them but I do try to keep them pronounceable - like Mallinger could conceivably be a surname for us but I've used it as a first name. With Mal for short because that makes him more approachable. Too quirky or pretentious is definitely a no no! I have the most difficult time finding titles - they're so hard! I'm probably guilty of the difficult names in an attempt to be creative. That's great that your publisher helps you with titles. I don't want my characters to have weird names. I just want them to be just uncommon enough to be memorable. Our wildlife sighting was a newly hatched dove that fell out of the nest, which was so badly built it fell apart. Poor thing, we warmed it and fed it cat food soaked in water, and took it to the wildlife rehab hospital. Yes, we live where there are two seasons, wet and hurricane. I have no trouble with character names, but titles are a bit trickier. Hoe into those fresh fruits and veggies. With regards to names, I get a bit annoyed when people name characters for their main attributes. Like.... no one knows what a baby's personality is going to be like, so what are the odds? Titles are the most difficult for me. I do agree about names. If I can't pronounce them, then my brain changes it to something close I can say. Ah, seeing turtle and fawns everyday sounds peaceful. I'd love to see pictures too. The workshop sounds cool. The name thing makes sense too. Titles are rough for me. Not Kryptonite tough. But pretty darn tough. I read an interesting IWSG post where the author said she researches geography and culture before settling on a name. Another IWSG participant said that a name needs to also be decade-appropriate, which makes sense if one actually wants to find the best possible name for the character. I also like the ‘sound’ of a name. But as wonderful as a name ‘sounds’, the aural appeal should ideally be secondary to the appropriateness of the name.